Check out Digital Walker Clearance SALE! 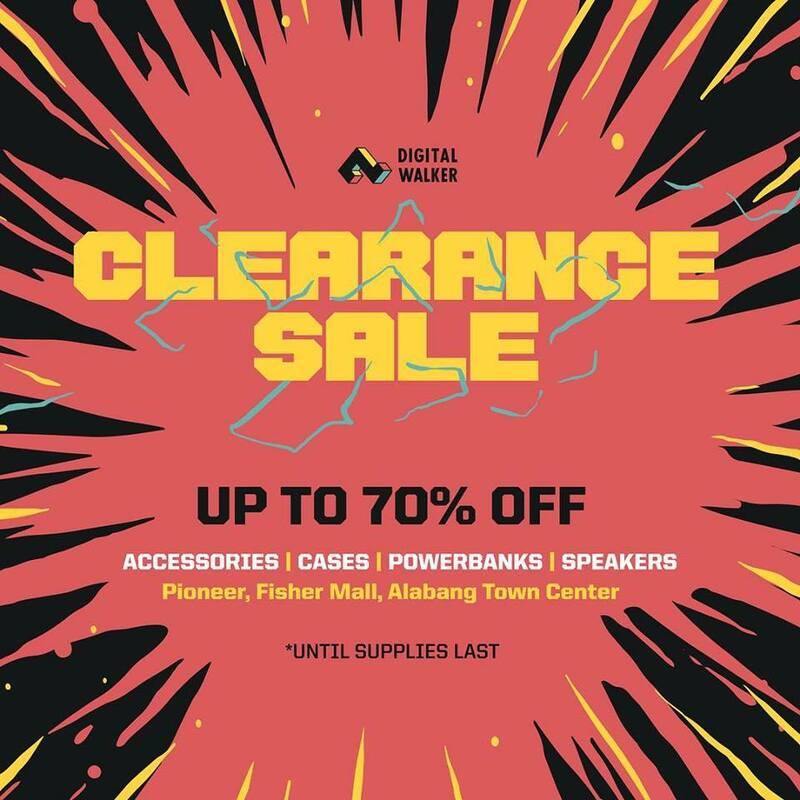 Head over to their branches at Pioneer Mandaluyong, Fisher Mall, and Alabang Town Center to avail of up to 70% off on select gadget accessories, cases, powerbanks, speakers, and more! Hurry, sale runs until supplies last!